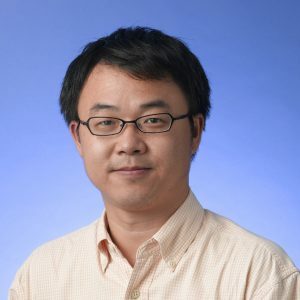 Prof. Ming Liu graduated from Duke University in 1996. He publishes on Journal of Banking and Finance, Journal of Financial Econometrics, Journal of Financial Research, Journal of Fixed Income, Pacific Basin Finance Journal, Journal of Real Estate Finance and Economics, Journal of Financial and Quantitative Analysis, Econometric Theory, Journal of Monetary Economics, Review of Economics and Statistics and Journal of Econometrics. His recent article, “Greasing the wheels of bank lending: evidence from private firms in China”, published on Journal of Banking and Finance, investigates the importance of corruption as an alternative mechanism to facilitate lending to Chinese private companies. Yunling Chen, Ming Liu, and Jun Su (2013), “Greasing the wheels of bank lending: Evidence from private firms in China,” Journal of Banking & Finance, 37(7), 2533. Ying-foon Chow, Ming Liu, and X. T. Fan (2008), “Broad-Market Return Persistence and Momentum Profitsh,” Mathematics and Computers in Simulation, 78, 181-188. Ming Liu and Xinting Fan (2008), “Sorting, Firm Characteristics, and Time-Varying Risk: An Econometric Analysis,” Journal of Financial Econometrics, 6, 49-86. Ming Liu (2003), “The Value of Mortgage Tenor Feature in Hong Kong,” Pacific Basin Finance Journal, 11, 1. Ying-foon Chow, and Ming Liu (2003), “The Value of Variable-Tenor Mortgage Feature in Hong Kong,” Pacific Basin Finance Journal, 11. Ming Liu, R.Chiang, and Y.Chow (2002), “How Do Mortgage Spreads Vary with Individual Characteristics,” Journal of Real Estate Finance and Economics, 25, 5-32. Ying-foon Chow, R. Chiang, and Ming Liu (2002), “Residential Mortgage Lending and Borrower Risk: The Relationship Between Mortgage Spreads and Invididual Characteristics,” Journal of Real Estate Finance and Economics, 25. Ming Liu (2000), “Modeling Stock Market Volatility,” Journal of Econometrics, 99, 139-171. Ming Liu, and M. An (2000), “Solving Initial Conditions Problem with Indirect Inference,” Review of Economics and Statistics, 82, 656-667. Charles Huang, Sharon Wong, Don Tang, and Ming Liu (1999), “Hong Kong Residential Mortgage Prepayment Analysis and Modeling,” The Journal of Fixed Income, 55-65. Jia He and Ming Liu (1998), “Mortgage Prepayment Behavior in a Market with ARMs only,” Journal of the Asian Real Estate Society, 1, 64-80.